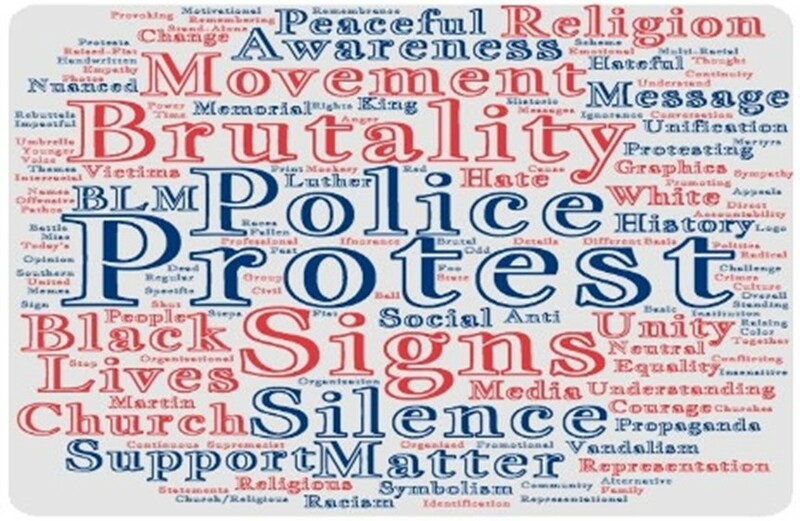 Using Miroslav Volf’s “double vision” perspective from Exclusion and Embrace, this study focuses on learning participant perceptions of the Black Lives Matter movement through the signs that protesters carry. By using a three-step methodological approach of surveys, focus groups, and piling, this research reveals the importance of communal participation in research and how participants at a primarily white institution of higher education in the Mid-South reveal contextual themes that are relevant for the church today. The contextual analysis of 50 Black Lives Matter (BLM) photographs by 78 participants indicate that they have an overall positive perception of the BLM movement. Participants also used the visual data as an opportunity to discuss, reflect on, and identify key themes from the protest signs. Study findings suggest that participants valued being a part of the research and the opportunity for contextualization.